So what do The Rolling Stones and The Charlatans have in common (aside from having a greater appetite for banned substances than the Bulgarian weightlifting and Tour De France teams combined)? 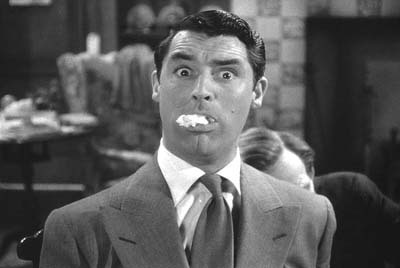 As I re-read The True Adventures of The Rolling Stones recently, there was one passage that made me sit up, scratch my head, and do a Cary-Grant-in-Arsenic-and-Old-Lace-esque double take. It was the bit that said that The Rolling Stones recorded a jingle for a Rice Krispies advert in 1964. Very easy to get into a Bill Hicks type sniffiness about this of course. Jack White came in for a lot of stick about his Coke ad. The Black Keys get grief for placing their songs with adverts, which for a time was the only place anyone could hear their music. Alex James of Blur doesn’t exactly win the hearts and minds of people with his tomato ketchup flavoured cheeses…. In other rock star breakfast cereal news, Tim Burgess from the Charlatans has had a breakfast cereal made for him by the good (read: opportunistic / publicity hungry) people from Kellogg’s. This was a move prompted by a Burgess tweet, where the singer said he had heard someone use the phrase “Totes Amazeballs” and thought it would make a good name for a cereal. Sure enough, Kellogg’s eager marketing department sent him a box. Vague promises that the product will be on sale at festivals over the summer were confirmed by Burgess at his recent book signing. I’ll be seeing The Charlatans at The Isle of Wight Festival later this year, so I’ll report back if the mix of marshmallow, cereal and chocolate is a decent restorative after a hard days festival going. LMAO That is priceless! And yes! A very decent tune! You can recognise them as The Stones right away!